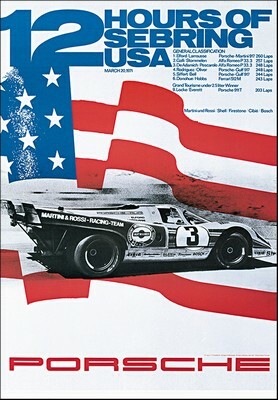 Racing poster 12 hours of Sebring 1971. Vic Elford and Gérard Larrousse win in a Porsche 917K. Do you have a question concerning our product '12 Hours Of Sebring 1971 - Porsche Reprint' ?